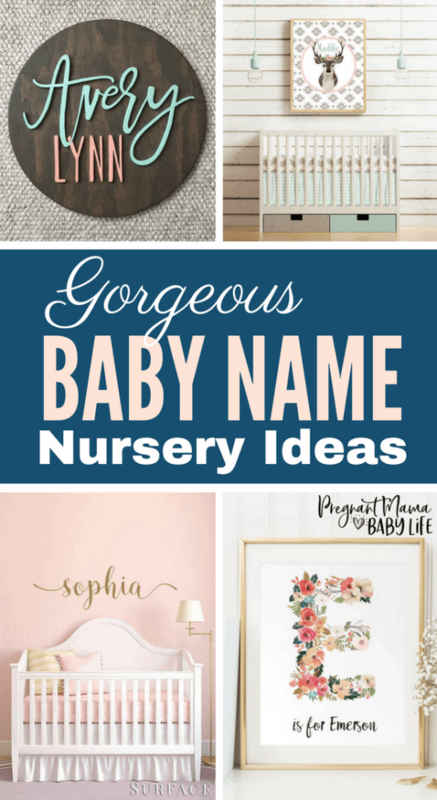 Personalized nursery decor adds a unique touch to any nursery and is a great way to celebrate your new baby and the awesome name you choose just for them. 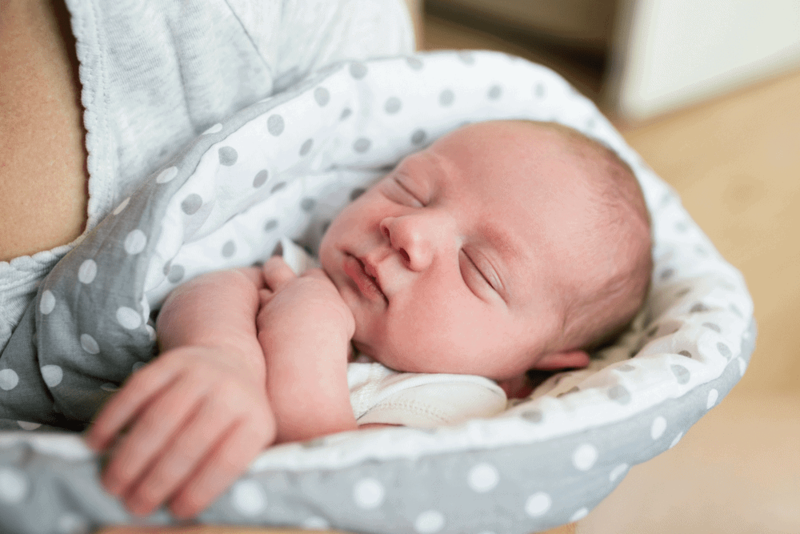 We have gathered the cutest and most stylish personalized decor all in one place to help you find something perfect for your babies nursery no matter what the theme or style. 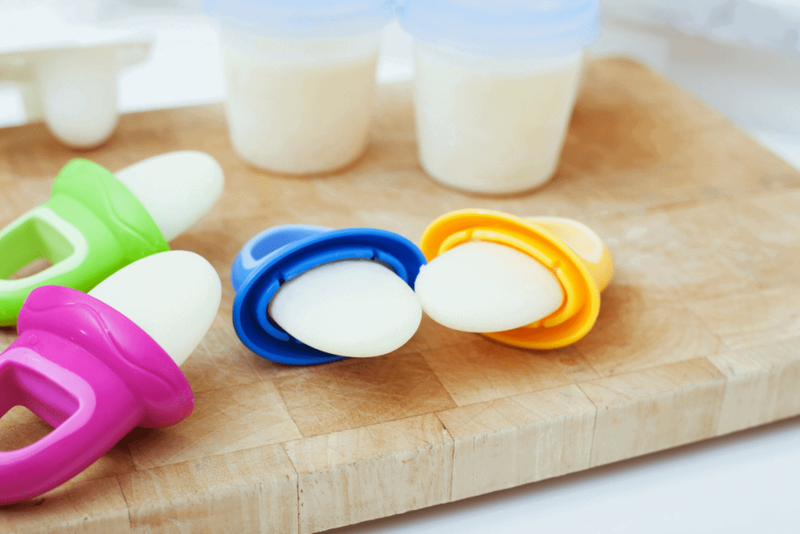 These also make fantastic baby shower gifts. 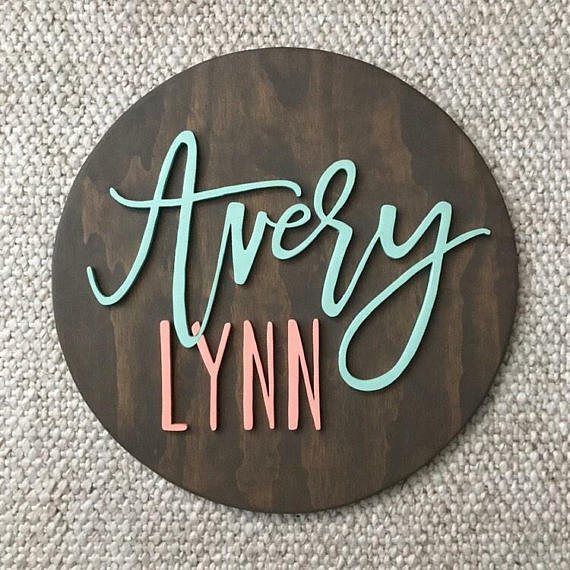 This gorgeous framed name display would look amazing with any decor and adds a touch of class. 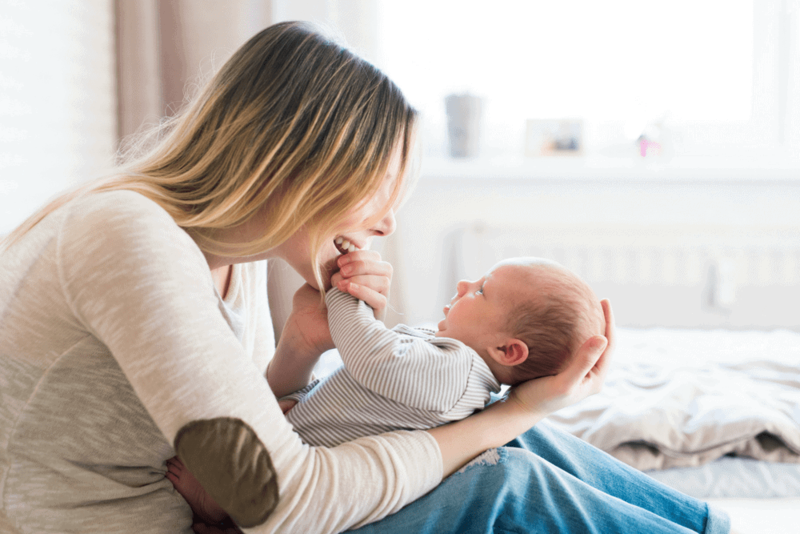 While it looks amazing in a nursery, it’s a piece that will surely look great for many years as they grow and the styling changes. 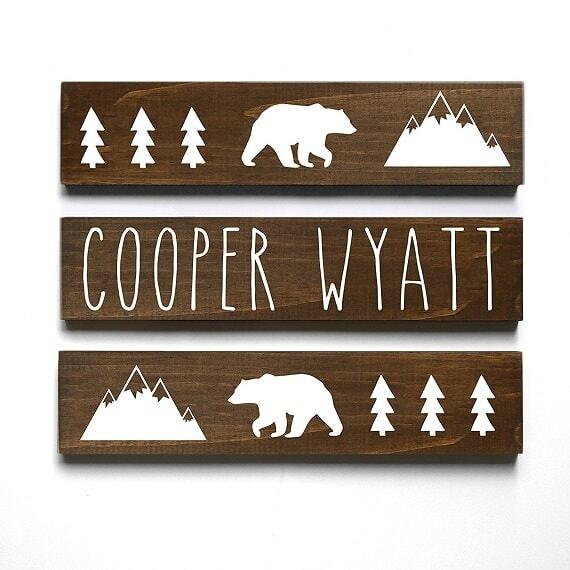 This personalized wooden name sign would look great in the nursery over baby’s crib. 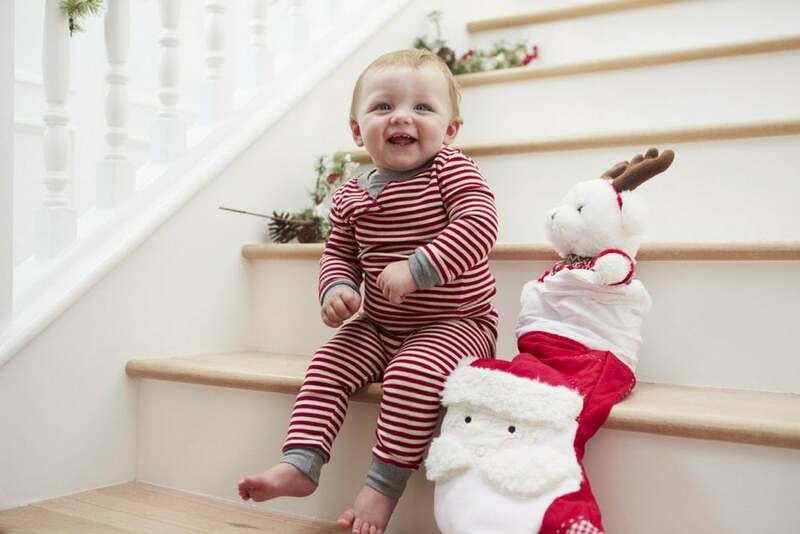 It can also be repurposed to celebrate baby’s first birthday and would look great to take month baby pictures with. 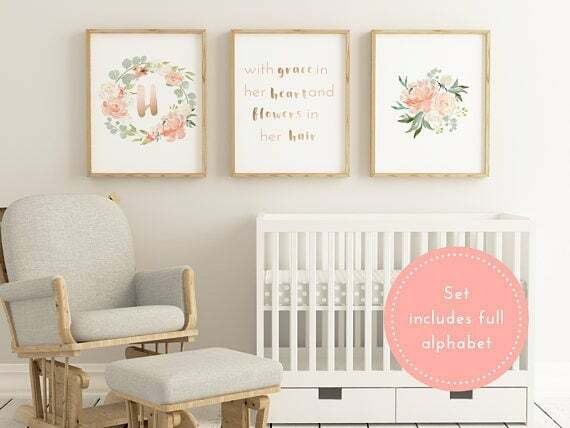 This floral initial printable set is awesome not only because of the beautiful design, but because it comes with every letter of the alphabet, a quote, and pretty matching floral print. The possibilities are endless with this one. 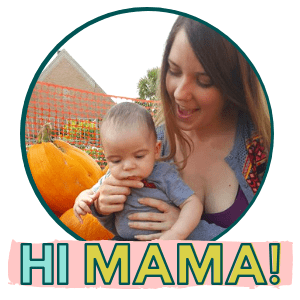 You could print out all of baby’s initials, or even their full name! 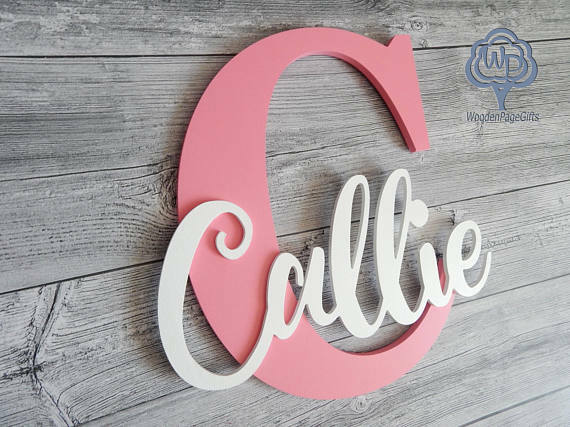 This super cute wooden name display features a gorgeous letter with their full name displayed across it. 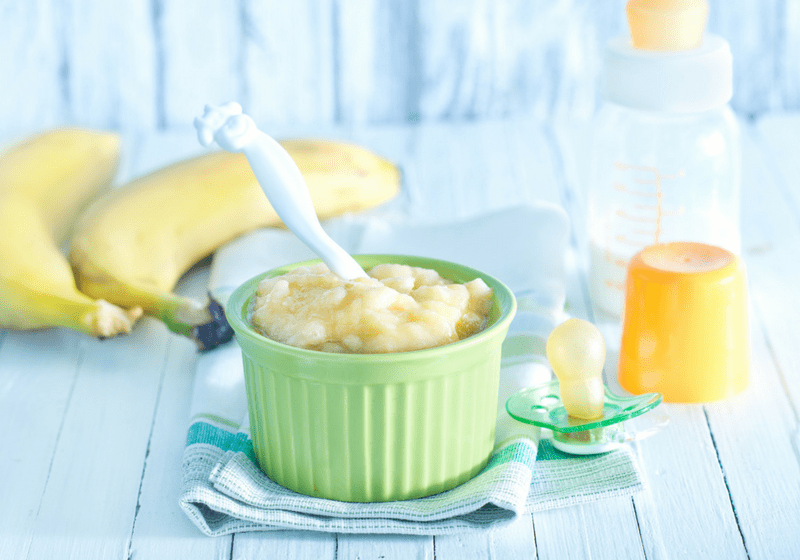 This will look great with any color nursery and any theme. 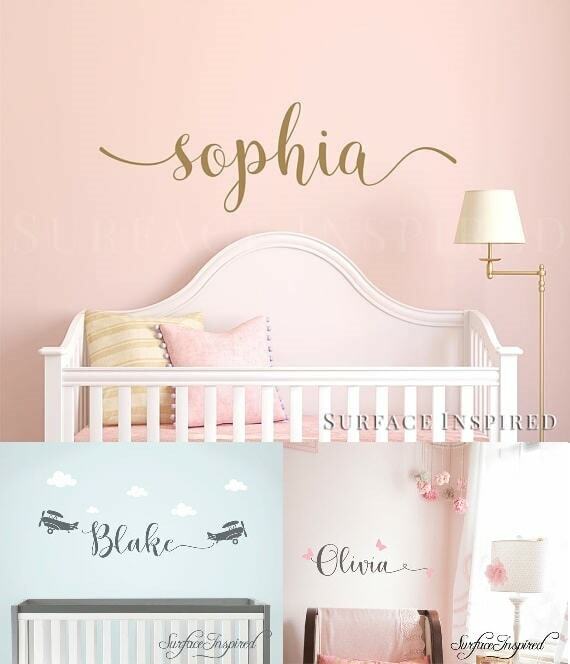 A great way to display your baby’s name in their room. 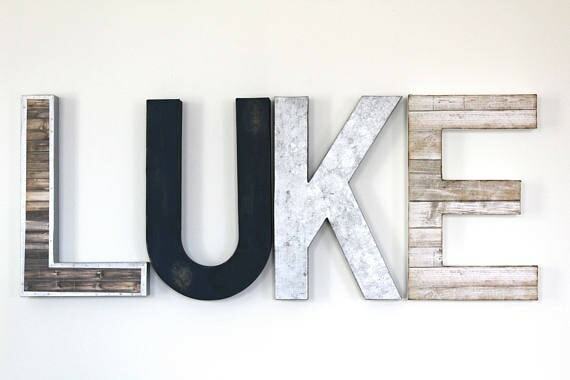 These faux wood and metal letters are actually handcrafted paper mache. They are beautiful, without being heavy. The artist that handcrafts each letter individually as they are ordered. These letters would look amazing in any nursery. This 3 piece wooden display is beautiful and perfect for an adventurer or outdoor themed nursery. 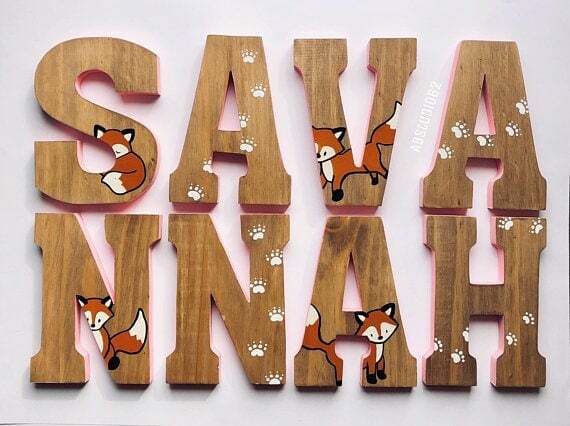 These hand-painted real wood letters are adorable. The subtle touch of pink on the edges of the letters looks great for a feminine touch. The shop has lots of different animals and variations to fit lots of different nursery decor. 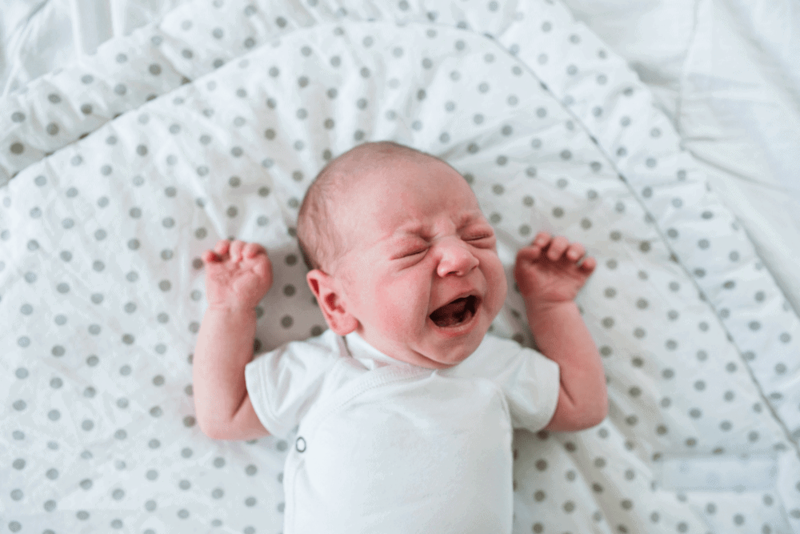 If you are looking for something a bit easier to put up on the nursery wall above the crib, you can try one of these gorgeous name decals. 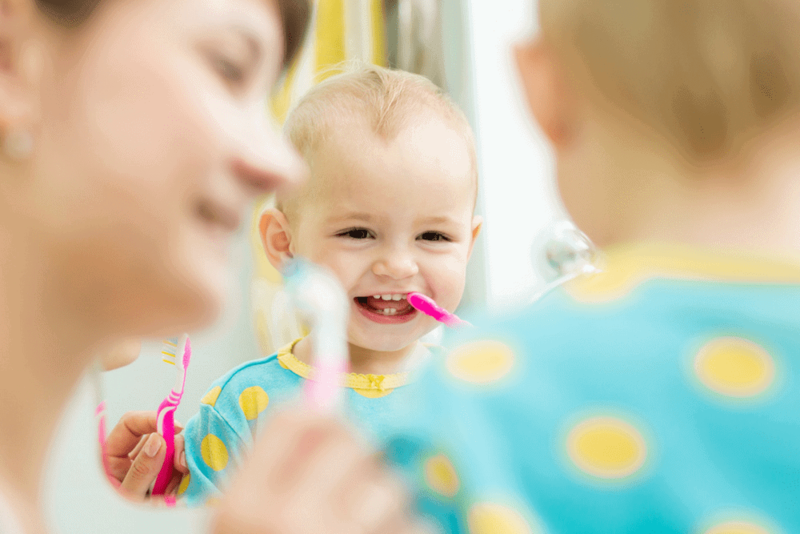 Its as simple as peel and stick and you have a beautiful way to personalize your baby’s room. 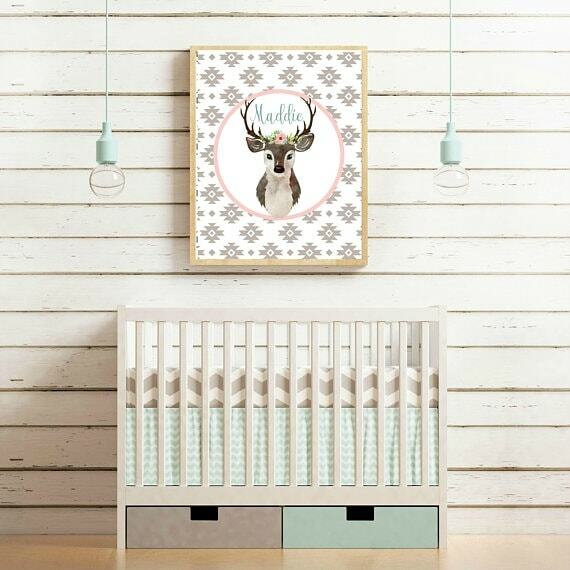 This gorgeous deer print is an inexpensive, but high-quality digital download is a beautiful way display your baby girls name. 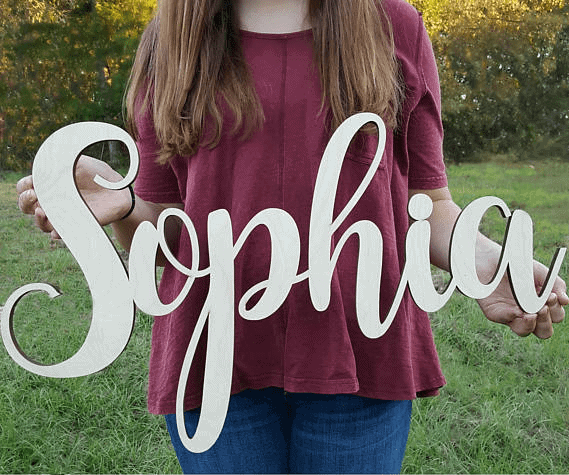 This personalized nameplate is beautiful and displays both the choosen first and middle names. 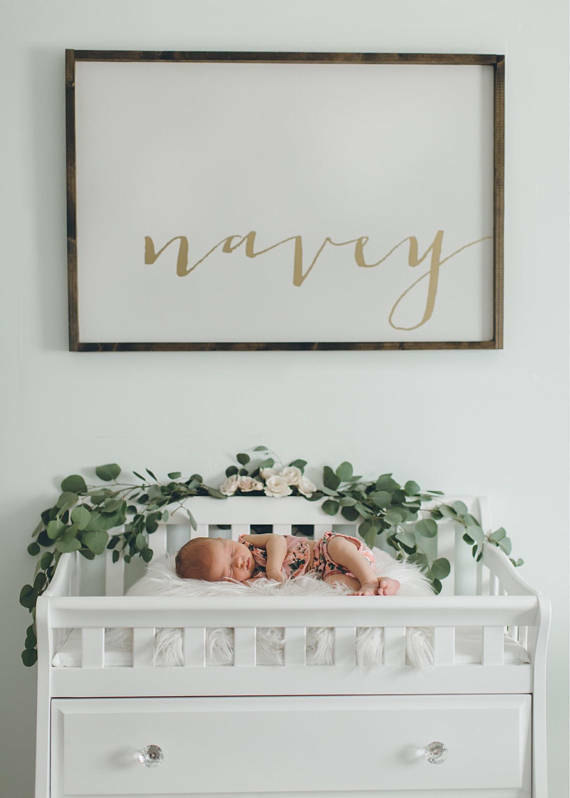 This is a perfect way to display your baby’s name in their nursery, and makes for a beautiful keepsake that will remain gorgeous and classy for years to come. 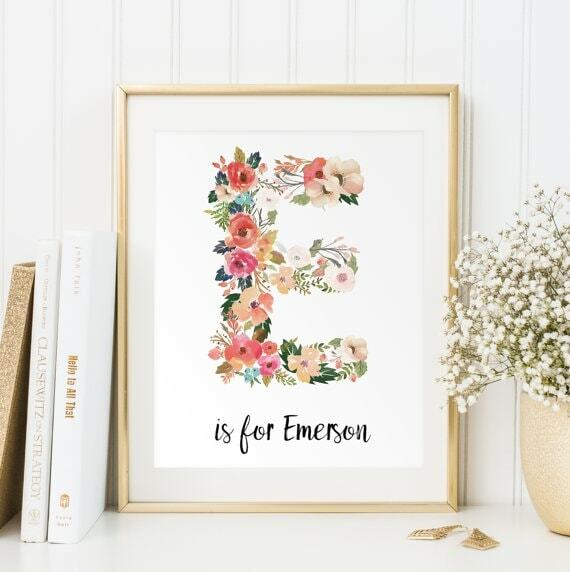 This floral letter print is gorgeous and you’ll get a digital file to print off from home or at a printing place like office depot or Walgreens. 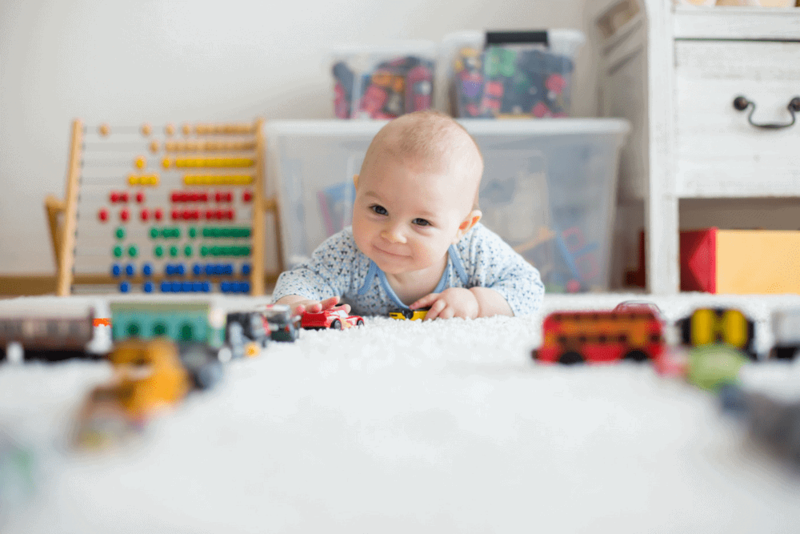 This will save you money on shipping, yet you still get a gorgeous personalized piece of art for your babies nursery.